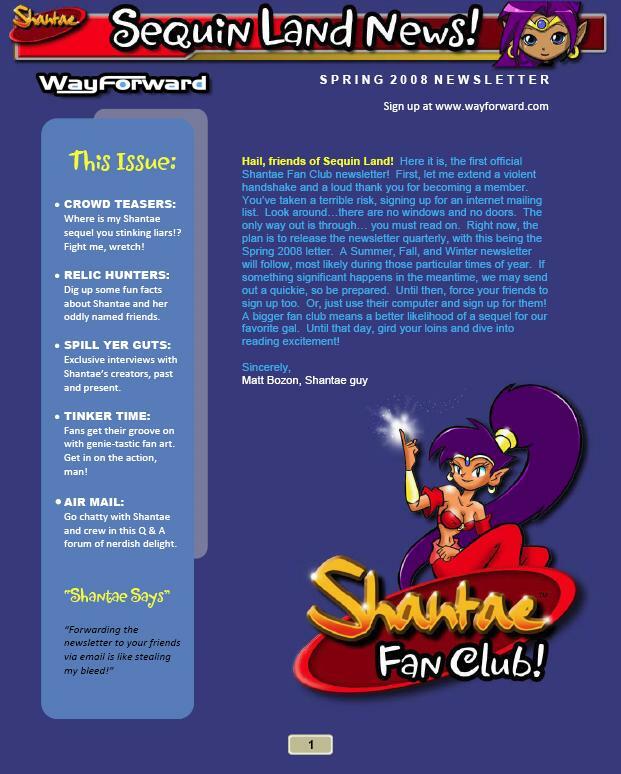 The very first Shantae news club fanletter has come out, courtesy of WayForward. The newsletter is full of all sorts of good news. 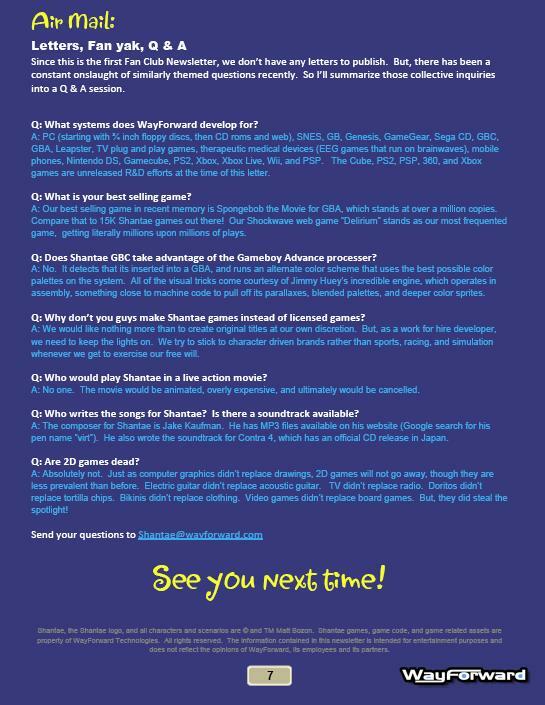 The part that is most interesting discusses the possible Shantae games in the works right now. 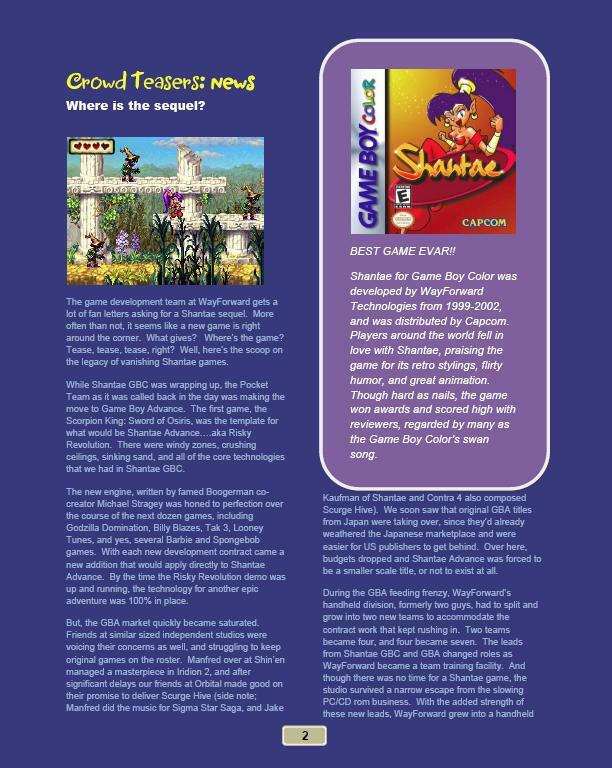 • Shantae DS: In 2006-2007 we hit pretty hard, with a massive undertaking to redo the cast of hero and enemy sprites, and about half of the sequel’s backgrounds were created by the legendary Henk Nieborg (who then shifted to Contra 4). 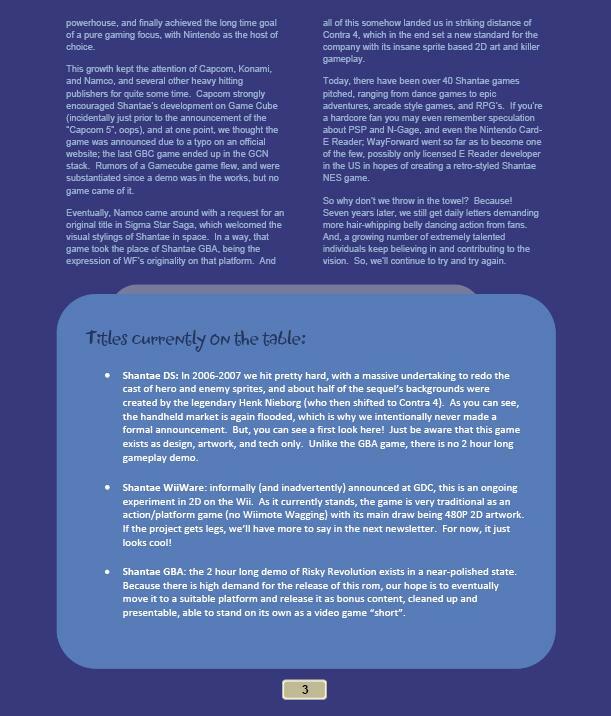 As you can see, the handheld market is again flooded, which is why we intentionally never made a formal announcement. But, you can see a first look here! Just be aware that this game exists as design, artwork, and tech only. Unlike the GBA game, there is no 2 hour long gameplay demo. action/platform game (no Wiimote Wagging) with its main draw being 480P 2D artwork. If the project gets legs, we’ll have more to say in the next newsletter. For now, it just looks cool! 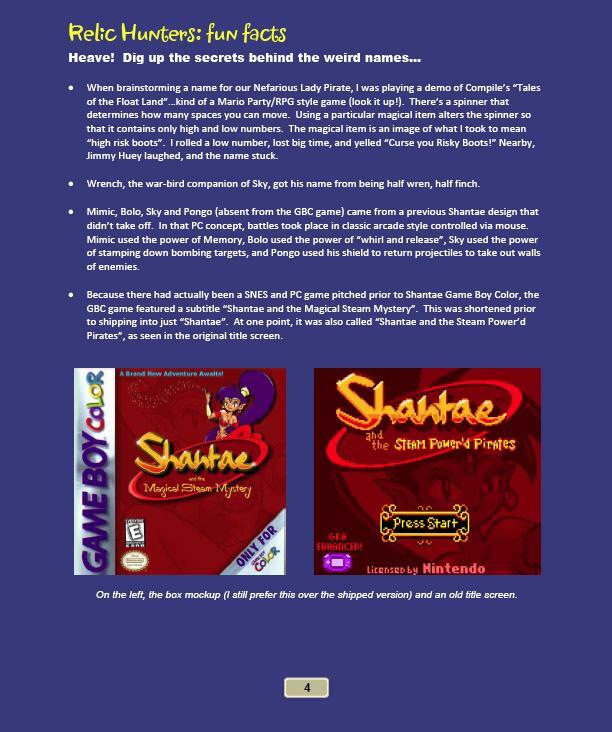 • Shantae GBA: the 2 hour long demo of Risky Revolution exists in a near-polished state. Because there is high demand for the release of this rom, our hope is to eventually move it to a suitable platform and release it as bonus content, cleaned up and presentable, able to stand on its own as a video game “short”. 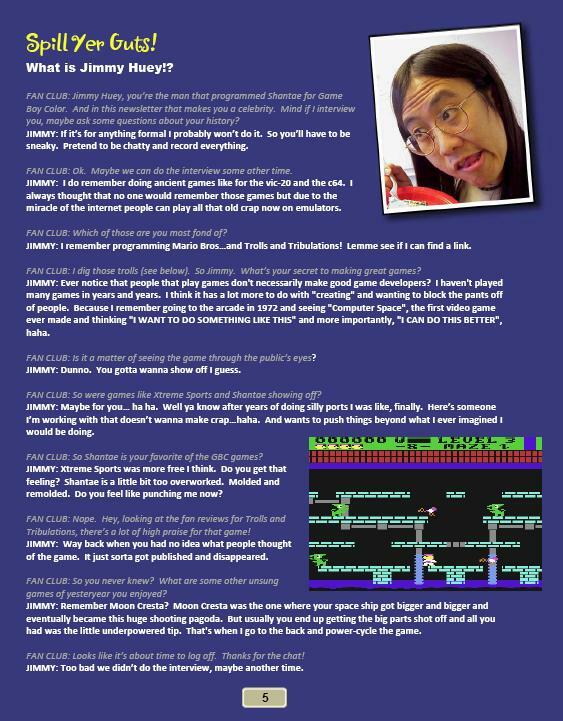 I’ve included the entire newsletter below. Please, make sure to read it through…it’s extremely entertaining! Huge thanks to Marl0 for the heads up.